Fonteinskloof is a Beautiful, Tranquil Game Farm with Private Cottages which provide Comfortable Accommodation in a Magnificent Setting. The game farm is situated at the foot of the Langeberg mountains, directly adjacent to the Marloth Nature Reserve. 10 kms from Swellendam on the R60 towards Ashton and about 250 km from Cape Town in the Western Cape. 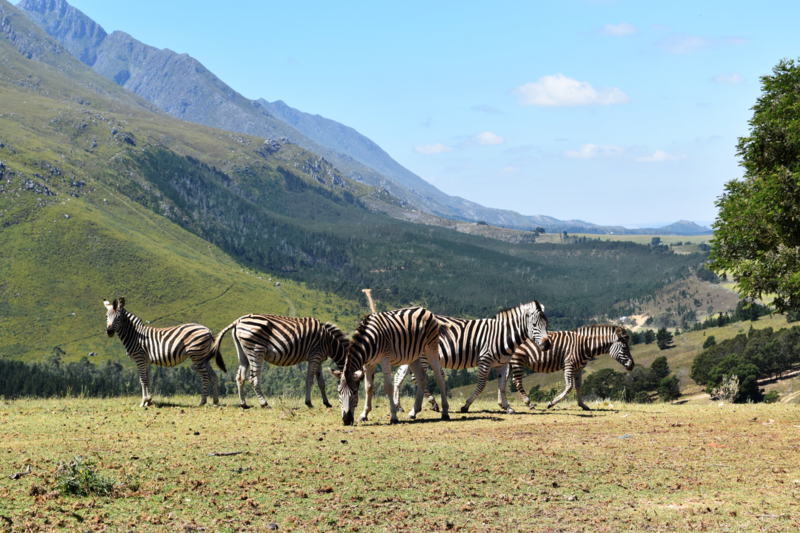 This tranquil setting is home to a variety of animals including Bontebok, Eland, Waterbuck, Rhebuck, Sable Antelope, Roan Antelope, Fallow Deer, Springbuck including copper, black and white Springbuck, Zebra and Blue Wildebeeste. King Solomon the Golden Wildebeest Bull heads the wildebeeste herd of 30. Besides the game, there is extensive bird life that can be viewed and being so near to the Reserve means that there is a rich diversity of Fynbos, the typical Flora in the Western Cape, that can be found on our hiking trail.